For the first time, a team of researchers under the leadership of TU Darmstadt has succeeded in measuring the transition between energy levels of the lithium-like ions of bismuth with such precision that it has become possible to reassess underlying theories. This has led to a surprising result—the understanding of the interaction between an electron and an atomic nucleus that we have had until now might be erroneous. At the surface of the nuclei of bismuth atoms, magnetic fields exist which are otherwise only present at the surface of massive neutron stars. The behaviour of electrons in these fields has been investigated by a group of researchers under the leadership of Technische Universität Darmstadt. Only recently have they achieved a breakthrough by observing for the first time a special transition in lithium-like ions of this element. They have now succeeded in measuring this transition at the GSI Helmholtzzentrum für Schwerionenforschung in Darmstadt with such precision that it was possible for the first time to reassess the underlying theory convincingly. In the latest issue of the specialist journal Nature Communications, the scientists give an account of their surprising result: the discrepancy between the theory and the experiment is striking. It suggests an error in our understanding of how an electron interacts with the complex inner structure of a nucleus. Simple atoms consisting of a single nucleus and one or a few electrons are ideal systems to check our understanding of the underlying physical forces at stake. We have a better grasp of the theory of the atom's electron shell based on quantum electrodynamics (QED) than of the actual structure of the atomic nucleus. QED allows the properties of the electrons and the states in which the atom can exist to be calculated with great accuracy. These calculations are then checked by means of precision measurements. To date, QED has passed all these tests with flying colors. 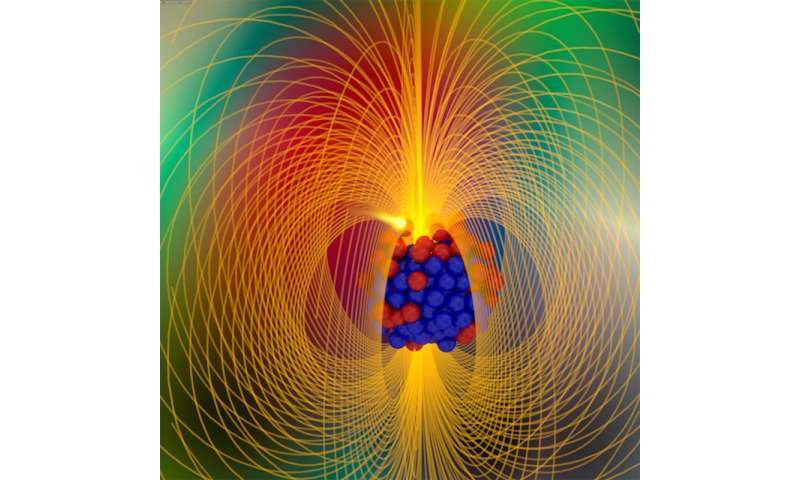 When using heavy nuclei, the scientists are mainly interested in the influence of the gigantic electric and magnetic fields on the electrons bound in the shell. 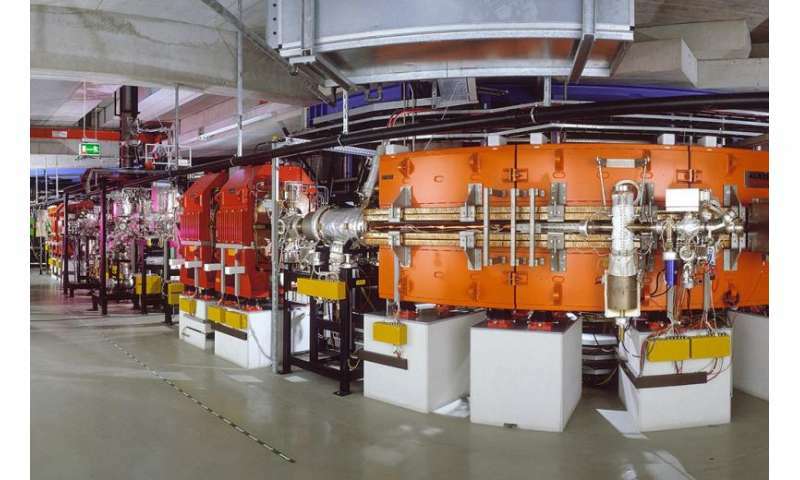 Only very few experimental verifications of this theory have been carried out under these extreme conditions, and they do not – by far – exhibit the same accuracy as the experiments performed with light nuclei. The strong fields make the theoretical calculations much more difficult. In addition, the complex inner structure of the nuclei is not known with sufficient precision although it has a strong influence on the atomic shell. In order to by-pass this difficulty, theoreticians calculate certain differences for systems with different numbers of electrons, but with the same atomic nucleus. These so-called "specific differences" are of such a nature that the contributions of the nucleus' structure should eliminate themselves almost exactly and that they can be used by the researchers as a starting point to check the QED calculations with more precision. The results that have now been published, however, seem to question the concept of specific difference. In its experiment, the team first generated hydrogen-like and lithium-like bismuth ions. These ions were injected into the experimental storage ring (ESR) at the GSI accelerator facility which has a circumference of 108 m and is equipped with two straight sections where experiments can be carried out. In one of those sections, an electron beam of defined energy is superimposed with the ion beam. After a few seconds, the ions' speed adjusts to that of the electrons. In this section, a pulsed laser beam is, in addition, superimposed with the ion beam. The laser's wavelength is then modified in tiny increments. When the laser reaches exactly the wavelength of the transition of the ion to be investigated, the ions absorb light particles (photons) – and thus energy – from the laser beam. Ions that are excited in this way release this energy after a short while, thereby emitting a very small number of photons. This small number of photons was efficiently detected by means of a special mirror and single-photon detection system which was developed at the University of Münster. Due to the high speed, the wavelength of the laser is compressed or stretched by a factor of approximately 2.4, for a counterpropagating or a copropagating laser, respectively. This factor depends on the accelerating voltage of the electrons. To measure this high voltage of approximately 214,000 volts with an accuracy on the order of 1 V, a high-voltage divider developed at PTB in Braunschweig was used. Scientists from TU Darmstadt were responsible, among other things for the data acquisition and the time-dependent synchronisation of the laser pulses, which only last a few billionths of a second (nanoseconds) with the revolution of the ions inside the storage ring. They also analyzed the data. The specific difference in the transition wavelengths measured in hydrogen-like and lithium-like bismuth does not agree with the theoretical prediction, even when taking all known sources of systematic errors into consideration. The cause for this deviation is not known yet and is to be investigated within the scope of further measurements with other isotopes of bismuth. These isotopes are, however, radioactive and must therefore be produced before being injected into the storage ring. These possibilities are available at the GSI Helmholtzzentrum. The new accelerator facility, FAIR, whose construction in Darmstadt will soon begin, will provide new possibilities for further investigations of this subject. The work recommended has been done. The extensions using the QED theory to larger nuclei with only two or three electrons should be calculable, but they aren't. There's more to be learned here.